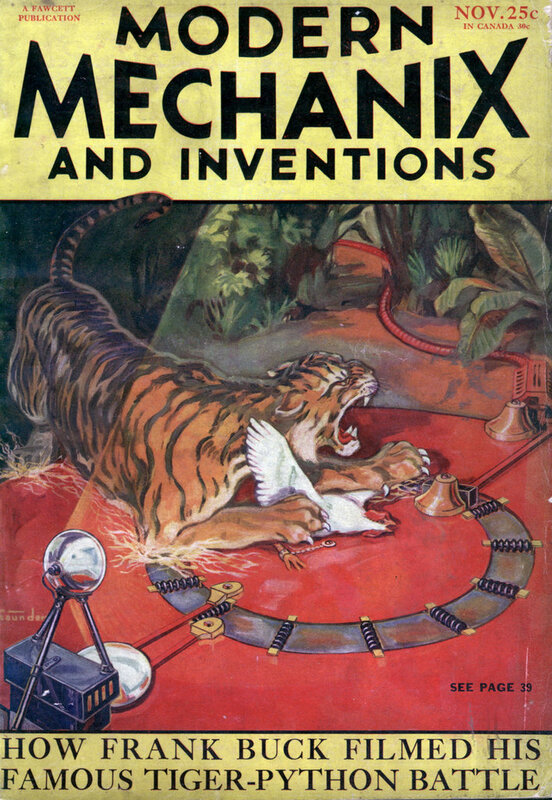 MACHINES can do almost everything but actually think, and a mechanism recently devised by a French language teacher almost does that, for it can translate one thousand words of French into English and vice versa. 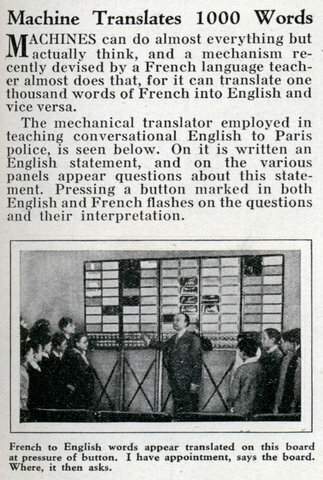 The mechanical translator employed in teaching conversational English to Paris police, is seen below. On it is written an English statement, and on the various panels appear questions about this statement. Pressing a button marked in both English and French flashes on the questions and their interpretation.